1. Don’t be afraid of the cold! Start early if you plan to buy. In Chicago, the market starts showing life after Jan. 1 or, as many people like to use as a barometer – the Superbowl. In the suburbs, things typically start moving Feb. 15th to March 1. All signs point to this being the case in 2015. Many sellers who have had homes on the market previously are more motivated. Some have been on the market since last year and want to sell sooner, rather than later. 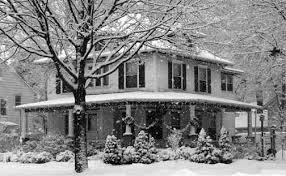 There are fewer buyers in mid January than later in the spring. Fewer people to show interest, which means less demand and potentially a better price for a buyer. Things heat up significantly in the Chicago area real estate market (and, hopefully the weather!) in March to May. More things to consider but much more competition. The prices at the height of the spring can command 5-7% more in some of the most popular areas. If you are selling in a area with historically low inventory and high demand, wait until the peak of the market – March to April – to put your home up for sale. There will be a pent up demand and you will be able to create a perfect environment for a max price. You can cost yourself money if you put your house on the market too soon. 3. Spring time can be the best time…but for who? While sellers can definitely hit a high mark, buyers can put themselves on the hook for a future loss. Make sure you are getting great, honest and experienced advice!